Alice Cooper is among the nominees under consideration for induction into The Songwriters Hall Of Fame. A songwriter must be a published writer for a minimum of 20 years with a notable catalog of hit songs to qualify for induction into the Hall, which is dedicated to recognizing the work and lives of those composers and lyricists who create music around the world. 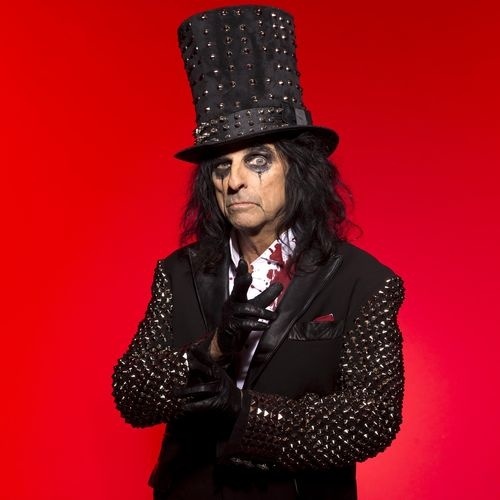 Known as “The Godfather of Shock Rock” as well as a heavy metal music pioneer, Vincent Damon Furnier, using the stage name Alice Cooper, wrote and recorded “I’m Eighteen” and “School’s Out” – early 1970s hit songs that endure as teen anthems. Joining Cooper on the latest nominees list are John Mellencamp, Chrissie Hynde of The Pretenders, Tom Waits, The Isley Brothers and Mariah Carey, among others. Songwriters Hall Of Fame members will vote on the nominees, who will be elected for induction at its Annual Induction & Awards Gala in New York City on June 14, 2018.